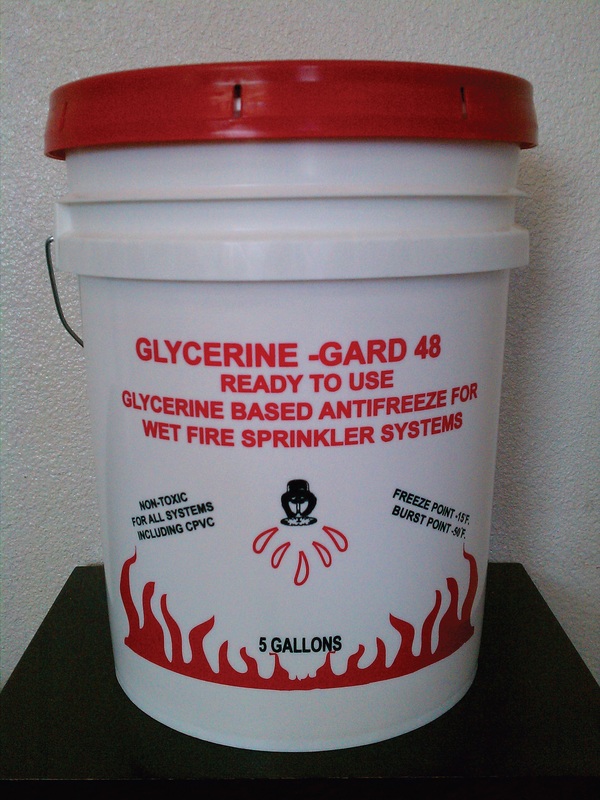 Introducing a total solution for your wet fire sprinkler system antifreeze needs! * Effective March 2011, the National Fire Protection Agency (NFPA) requires use of factory pre-mixed fluid concentrations not to exceed a maximum of 38% propylene glycol or 48% glycerine by volume when used for new wet fire protection systems or to replace fluids in existing systems. Field mixing of any kind is prohibited. Comprehensive details on NFPA's undated anti-freeze requirements can be found at www.nfpa.org/antifreeze. Chemical Specialties will provide certification documentation and product identification tags for our factory pre-mixed wet fire system protection fluids.